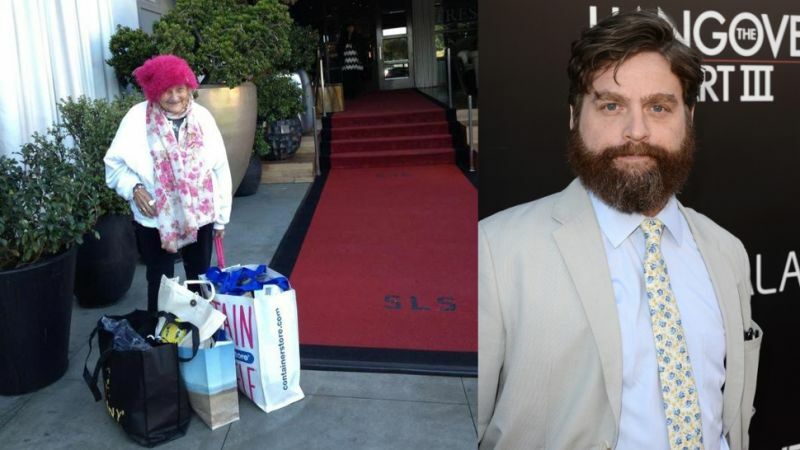 Twenty years ago, after moving to LA to "be discovered," a then-25-year-old Zach Galifianakis met and befriended an elderly laundromat volunteer named Elizabeth "Mimi" Haist. The two remained close until a few years ago, when Galifianakis went mainstream with the first Hangover film. 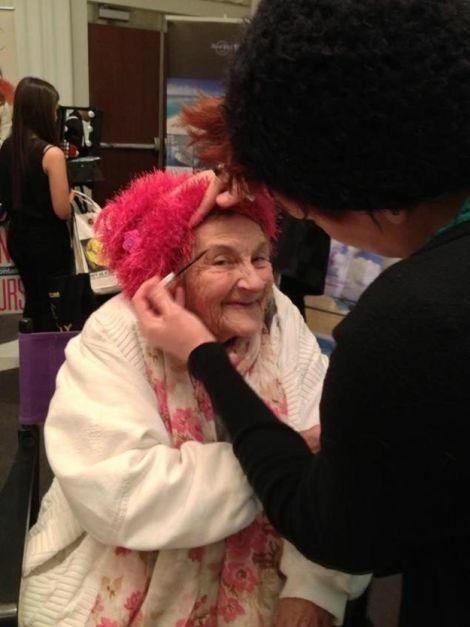 Though they briefly lost touch, when Galifianakis learned that Haist had become homeless, he quickly found her a one-bed, one-bath apartment to live in, and has been covering her rent and utilities ever since. More than that, Galifianakis has made it a habit of taking Haist with him to red carpet events in Hollywood — and even sends her in his place when he can't attend. "If he’s in town, he takes me. 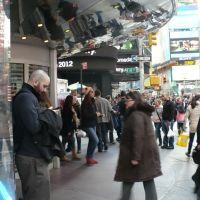 Otherwise he lets me take a friend," Haist, 87, told the New York Daily News. "I dress up nice and a friend helps me with my makeup. It’s fun, not something I’ve ever dreamed I’d experience. The limo takes me home afterwards." Haist, who shares Galifianakis' mischievous sense of humor, says she enjoys the bewildered looks on the faces of fans who have no idea how she ended up among the glitterati. "All the fans were taking photos and I waved at them, I said, ‘They don’t know who I am! '," Haist said. The frail octogenarian, who still works at Fox Laundry, will walk alongside Galifianakis once again at this Monday's premiere of the Hangover Part III.